"Ecosystem Services and Management Strategy in China" is a two-year international cooperation project that culminated from the China Council for International Cooperation on Environment and Development’s Task Force on Ecosystem Services and Management. 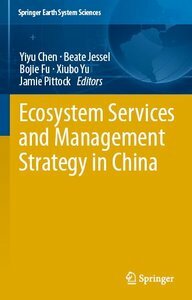 It combines case studies, scenario analysis, and stakeholder consultations that focus on Chinese forest, grassland and wetland ecosystems and assesses the economic and social benefits of sustainable ecosystems management. 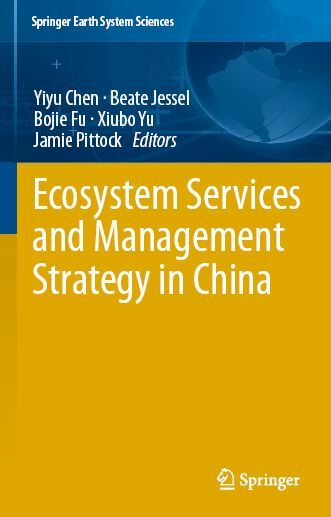 It also identifies better practices in ecosystem management from Chinese and international experience and recommends a more intensive integration of ecosystem services into decision-making processes. In November 2010, the Task Force presented five strategic policy proposals for the implementation of sustainable management for Chinese ecosystems. These proposals were extremely well-received by senior decision makers and have since been adopted by national government agencies. The book represents a valuable reference work for researchers and professionals working in related areas.